He works at Jade communication that delivers innovative and practical communication skills training programmes and consultancy services. Ted Gichuhi is currently the senior creative (Art Director) at Leo Burnett with over 10 years experience in print, design and advertising. Entry filed under: Workshop. 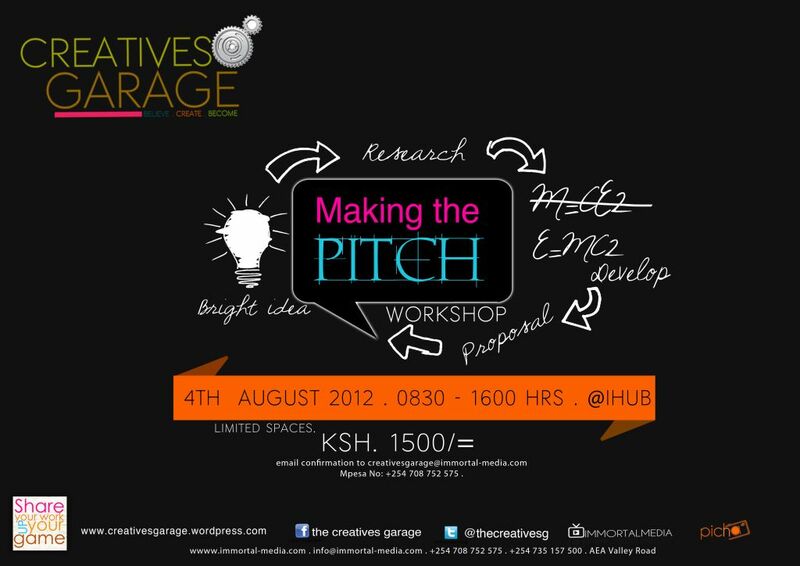 Tags: creatives garage, ihub, making the pitch, valentine ziki.